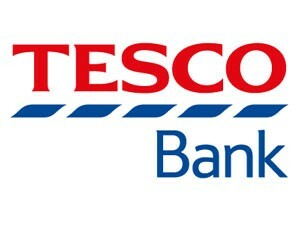 If you’re aged between 50 and 80, the Tesco Over 50 Life Insurance is an easy way to contribute towards funeral costs. You don’t have to worry about medical questions – they won’t ask any. There is guaranteed acceptance if you’re aged 50 to 80 and a UK resident and you haven’t exceeded the premium limit. An easy way to contribute towards funeral costs, putting your mind at rest so you can get on and enjoy life. You can have multiple policies as long as your monthly premium is not more than £100 in total for all Tesco Bank policies taken out with Aviva. You can choose the amount you want to be covered for, or how much you can afford to pay each month. Over 50’s Plan starts from just £7 a month. You also have the choice to take out the Funeral Benefit Option where an additional £250 on top of your sum assured will go towards the cost of your funeral. You must be resident in the UK, which excludes the Channel Islands and Isle of Man. You’ll pay your premiums for 30 years or to the policy anniversary after your 90th birthday, whichever comes first. Depending on when you die, you may pay more in premiums than is paid out. You can choose either the premium you want to pay or the cash lump sum paid on death, when you take out your policy. Your premiums are based on the cover you choose and your personal circumstances.